Discussion in 'Sports Games' started by brunty, Jun 5, 2017. More will be announced at EA play on the 10th June. Cristiano Ronaldo leads a list of football stars and new characters in a star-studded cast well-suited to a blockbuster sequel. From a summer break in Brazil to a pre-season tour to Los Angeles, experience diverse football landscapes in a truly global journey. i cannot believe that i still have only played 2 games of Fifa 17, i hope 18 shows improvements. Does anyone have a spare Beta code for the ps4? Fifa 18 demo comes out today on PC, PlayStation 4 and Xbox One, different times for each platform, You can play Kick Off mode with a raft of clubs and stadiums, as well as preview The Journey story mode. Tried the demo last night I know EA state it doesn't represent the finished game but I felt the pes demo looked a lot more realistic in terms of stadium, crowd and players than it did with fifa. Detail in the crowds, pitch side and players in general had a more arcade approach. between both I felt the gameplay in a match was better with fifa a lot more fluid ball play passing, crossing and zig zags where a lot better than I had with the pes demo. I won't be buying the game but if I was I would need to turn off the commentary warbling on hasn't changed since I last played a fifa game about 2 years ago, think they could get a better script make it more exciting dull as brunty talking about his nan. We are pleased to announce that for the first time ever in FIFA Ultimate Team (FUT) you will be able to show your support for PlayStation with an in-game version of the new PlayStation F.C. FUT kit! 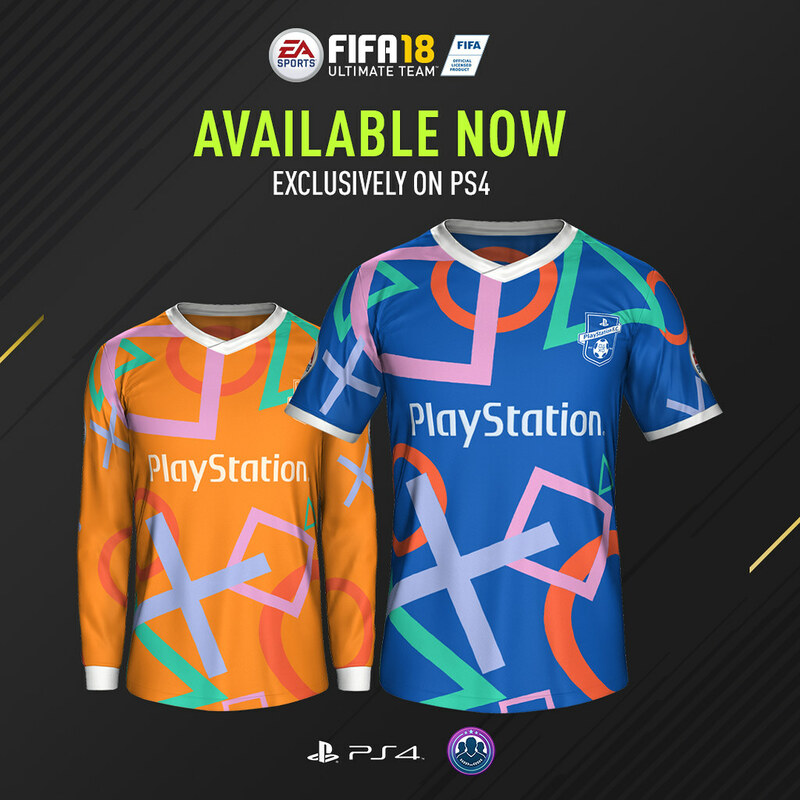 Make sure your players show their support for the world’s biggest club as PS F.C’s vibrant blue kit features the iconic and colourful PlayStation shapes. Getting the kit couldn’t be simpler: just complete the first squad building challenge when you kick off the FUT Web App. Today, we’re also proud to announce that you can also buy a physical version of the new kit shirt, exclusively on PlayStation Gear. This limited edition collectible shirt is perfect for FIFA Ultimate Team fans, letting you match your squad and show your support – on the sofa or the pitch. The physical shirt is available from 29th September, and you can add it to your wish list now on PlayStation Gear. Visit the store here to find out more, and check out its huge range of other clothing, collectibles and accessories. Have you decided how the league will work yet?